FSA’s recently launched electronic drivetrain, K-Force WE will be available soon. FSA (aka Full Speed Ahead) is known for their innovation and quality bicycle components such as headsets, cranks, bars, stems, and seatposts. 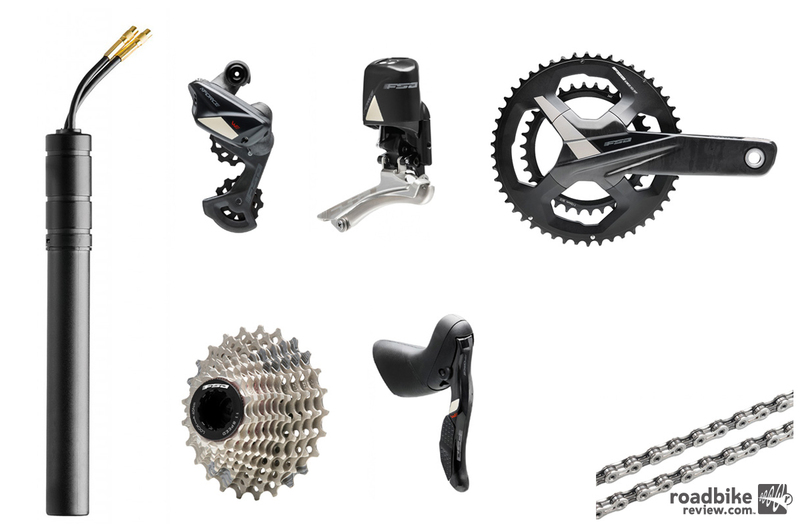 But they have expanded their lineup to include disc brakes and drivetrain parts. RoadBikeReview first caught a glimpse of their all new wireless K-Force WE (as in wireless electronic) drivetrain at Eurobike last year. Now FSA has announced it will start shipping this spring. 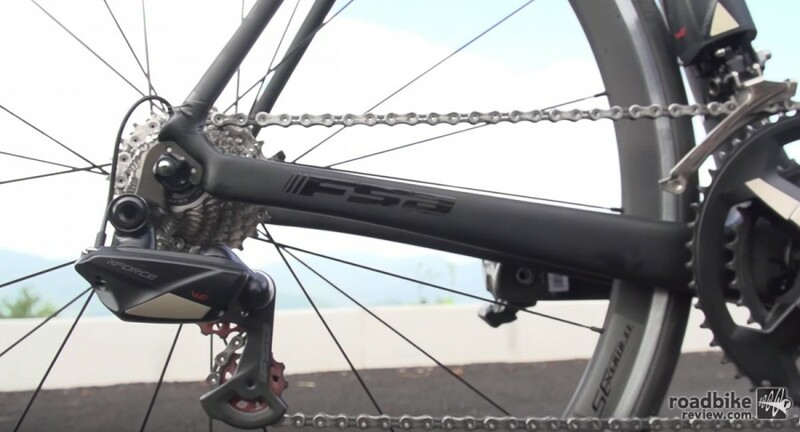 FSA is serious about this drivetrain, and when going head-to-head with industry giants like Shimano, SRAM, and Campagnolo, the Taiwanese brand knew it had to bring its A game. FSA not only sponsors WorldTour teams, it enlists the racers to help develop their products under real-world conditions. The first look for many at FSA’s first iterations of an electronic drivetrain came in the form of the Michal Kwiatkowski’s Specialized Tarmac on the Etixx-Quick Step team back in 2015. Of course, it had been in development long before that. Currently, FSA is sponsoring the likes of Jelly Belly, Cofidis, and Direct Energie that will be racing on the new gruppo this season. The front and rear derailleurs have a battery mounted directly on to them. The rear derailleur is not a traditional parallelogram design. 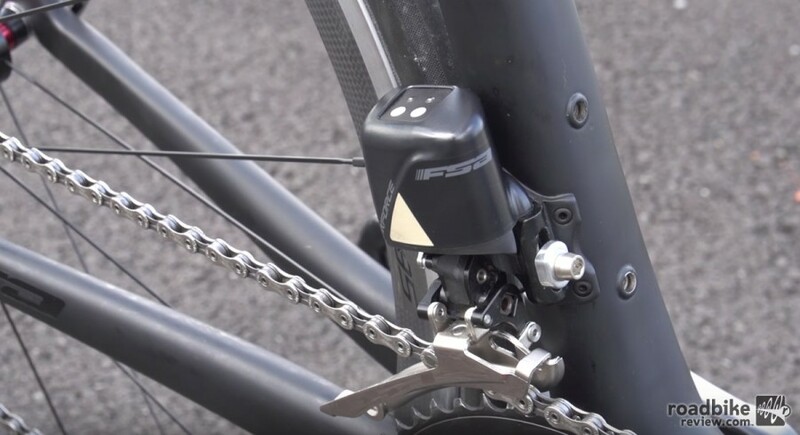 Instead the electronic-driven gearbox moves the cage across the cassette. 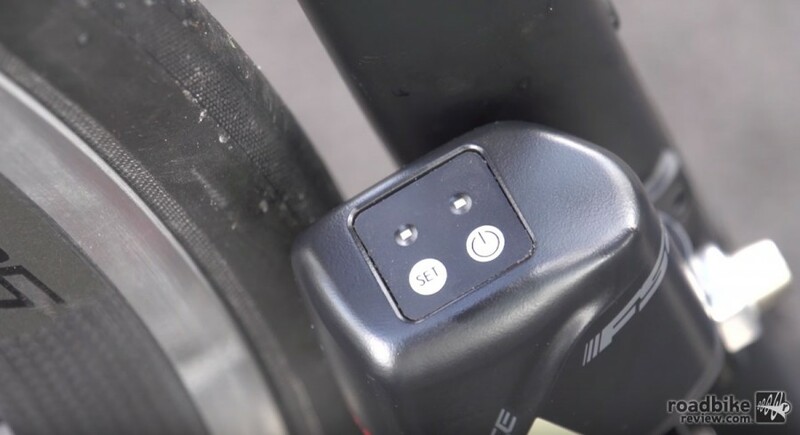 FSA claims that K-Force WE offers almost double the battery life of a Shimano Di2 system, thus allowing the rider to ride more and charge less. 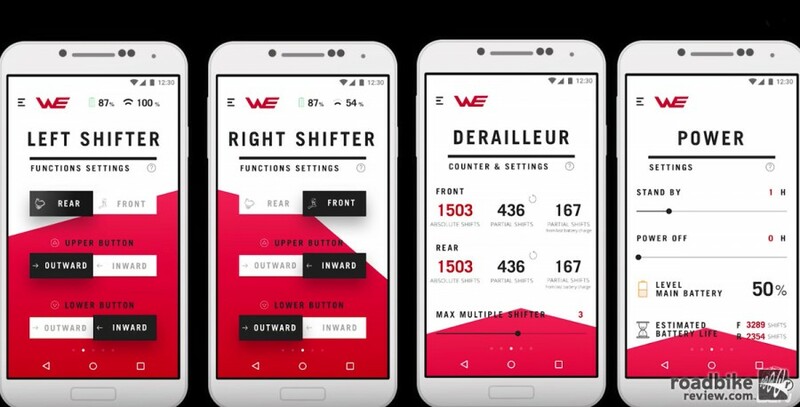 The WE is an 11-speed system that works with a double crankset up front and features a “hybrid” wireless system in which the front and rear derailleurs each have their own battery backs that are connected via hidden internal wires. The connection from the shifters to the derailleurs is completely wireless and uses an ANT+ signal. The battery itself is located inside the seat tube, so it is completely unobtrusive. The lithium-ion battery is said to provide 2,500-3,700 miles per charge. To learn more visit we-fsa.com. FSA’s recently launched electronic drivetrain, the K-Force WE is available for shipping in the very near future. The rear derailleur is not a traditional parallelogram design and instead, the electronic-driven gearbox moves the cage across the cassette. Battery life and other key metrics can be monitored by the FSA K-Force WE app. A close-up view of the power and set buttons atop the front derailleur.